This is a great opportunity to work on the rhythm and consistent effort needed in long WODs with movements like kettlebell swings and sumo deadlift high pulls. Focus on maintaining consistent pressure through each stroke and every piece. Rate of Perceived Exertion should be around 60% – 70%. Effort level on the last piece is open and should be based on how you feel. Set the monitor for intervals-time with 10 minutes of work and 1 minute of rest. During the rest stand up and stretch out your back and foam roll any areas that feel overly tense. Novice rowers should focus on one part of the stroke for each piece, like a horizontal handle path or trying to row feet out. Vets should be dialing in their consistency. During the last piece Vets should be focused on bringing their 500m split down as the stroke rating increases. 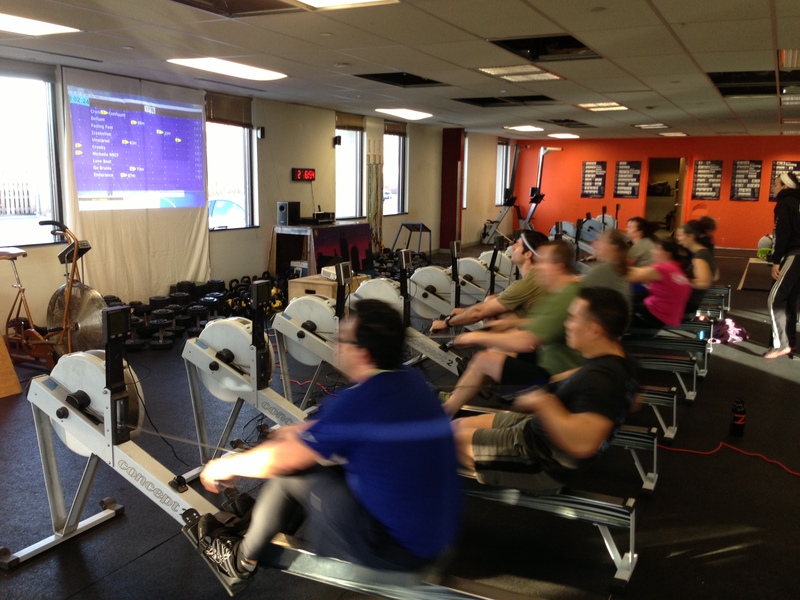 Post the total distance rowed to comments. Suggestion on stroke ratings ?. On pieces like these I have no perception on what rating I should aspire to. Great question Ward! The challenge is to keep the same stroke rating all the way through the whole 10min. When it asks for 1min at -3 split seconds you have to change ratio in order to keep the same stroke rating. Push harder and have quicker hands, but keep a long/slow slide on the recovery to hold the stroke rating. Hope this helps! Thank you , but I was looking more for a suggestion like 2K split + ?? Ahhhh, give 2k+10 to 15 a shot to start and see how you feel and if the quality is there. Then bring it down accordingly. Goal was 2K+15 = 210. Did sets 1,2 and 4 (skipping set 3). Spot on Ward! Solid execution! I like that split.